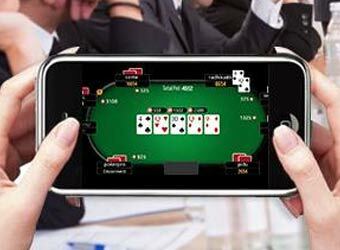 Pune hospitality firm Delta Corp Ltd will acquire Gaussian Networks Pvt Ltd, which operates online poker site adda52.com, in a cash and stock deal that values the three-year-old startup at around Rs 182 crore ($27 million), it said on Wednesday. Delta that also runs casinos, intends to initially acquire a 26% stake in Gauss Networks Pvt Ltd from the founders of the five-year-old startup for Rs 47.3 crore in cash. Gauss Networks, a software developer and Software-as-a-Service (SaaS) firm, in turn owns Gaussian, the entity behind adda52. Post the first leg of the transaction, which is expected to be completed by June 30, 2017, Gaussian Networks shall be merged with Delta Corp. Delta Corp shall not create any treasury stock but will issue its own shares to equity holders of Gaussian. The deal values the venture at Rs 182 crore ($27 million). This is almost four times its revenues. For the financial year 2015-16 the company generated a consolidated turnover of Rs 47.13 crore. Founded by IIT-Delhi alumnus Anuj Gupta, Gurgaon firm Gaussian Network is an online firm that claims to specialise in games like rummy, poker, chess, scrabble, golf and pool among others. It has products including adda52.com, adda52rummy.com and adda52mart.com to offer online versions of card games and also related products. Earlier, Gupta had worked at HCL Technologies, Infosys, Ingersoll Rand and TCS. In between he also co-founded automation and security technology solutions start up Zentrum Technologies in 2008. For Delta Corp, the acquisition marks its entry into the online gaming space. Led by Jaydev Mody, Delta Corp started off as a real estate firm and gradually entered into the hospitality and gaming segment in 2008. Currently, the company claims to have three out of the six issued offshore gaming licenses in the state of Goa that include Deltin Royale, Deltin JAQK and Deltin Caravela , according to information on its website. The company claims that Deltin Royale is currently India's largest offshore gaming vessel with 950 gaming positions across 116 tables and 250 slot machines. Besides, the company also operates Deltin Suites, a Casino Hotel in Goa. In 2014, Delta Corp launched THE DELTIN in Daman, which it claims to be India's largest integrated casino resort, located at close proximity along the Mumbai â€“ Ahmedabad route. A slew of digital gaming firms have raised venture capital money hoping to strike a success like Angry Birds creator Rovio Entertainment and Candy Crush creator King Digital Entertainment, which was bought by Activision for $5.9 billion last year. According to VCCEdge, the data research platform of VCCircle, there have been 41 venture capital or private equity funding with an announced value of $78 million to date in the gaming space. Some of the prominent transactions include Sequoia backing Octro and Moonfrog besides Kalaari Capital investing in Robosoft. These apart there have been M&A deals too. The most prominent one being Indiagames, which was acquired by UTV and later came under Disney as UTV itself was bought the American media giant.